Oh, this is just sad. 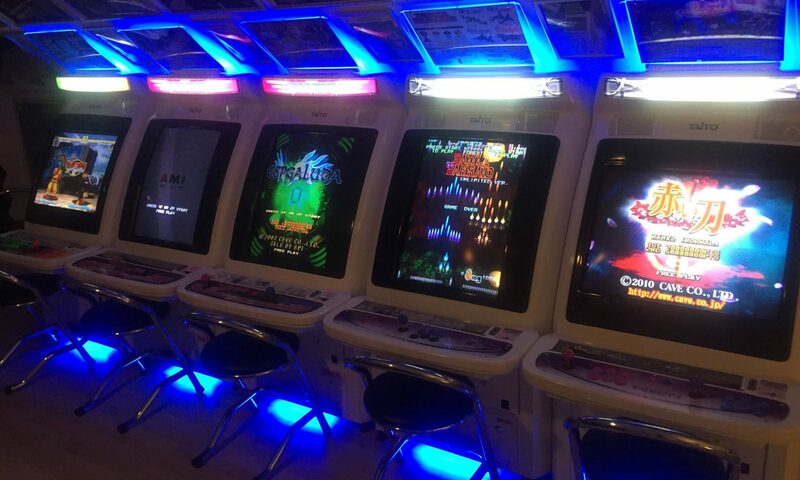 Does this mean CAVE is retreating entirely from the Western market for focusing on Japanese releases only? The latest iOs/Android title – Donpaccin – suggests the same. Only released to the domestic market. AmazonJP is now taking pre orders for CAVE’s Shooting Collection. Still not much info revealed about the contents and release date is still not yet announced. From what I know this far it will contain the games below for the Xbox360 on 7 discs plus downloadable content and two booklets. Pre order price is set at ¥ 24,800 (ordinary price is ¥29,176). There’s still no information if this will be a multi region or Japan only release. The bundle can be pre ordered from the CAVE Shooting Collection pre order page at AmazonJP. 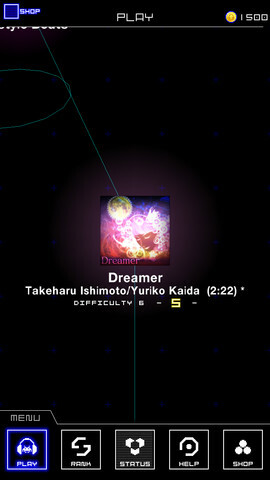 Just a quick push for Taito’s Groove Coaster Zero available in the AppStore for your favorite iDevice. Brace yourselves for a flood of superlatives and no objectivity whatsoever! My first impression was that this is so like REZ. Still one of my favourite games of all time. The game play is simple and smooth. Just feel the groove and hit those beats on time. Kind of like one a finger Guitar Hero. 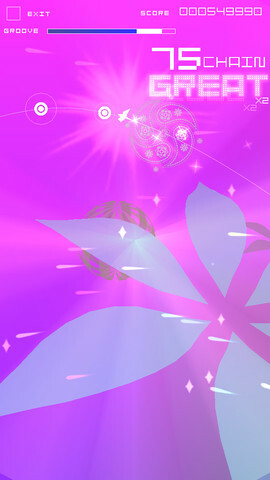 Packed with beautiful graphics and awesome music…ahem, groove makes it all in all a joy to play. 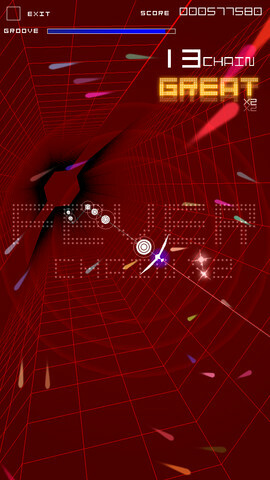 Groove Coaster Zero is available from the AppStore for the iPhone, iPad and iPod Touch and is free to download. In-game coins that can be used for buying songs and upgrades will set you back a few bucks but you get loads of goodies from just progressing in the game so it’s not like the other bunch of get one track for free but the rest you have to pay for games out there. 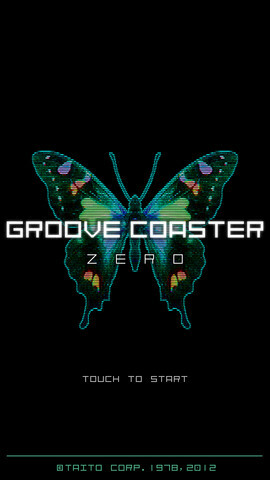 Now go get Groove Coaster Zero from the AppStore! 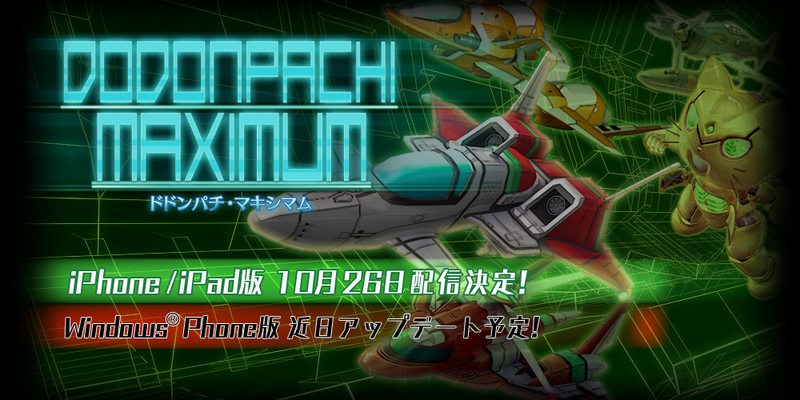 DoDonPachi Maximum coming to the iPhone/iPad on Friday and the Windows Phone version gets an update. 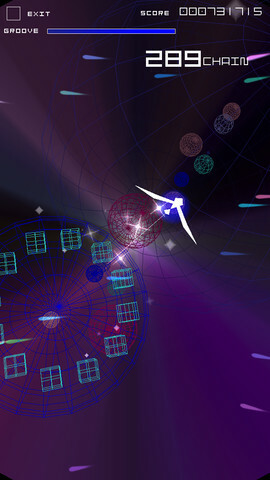 This fall, the bullet-hell entertainment goes over the limit! Cave announced it’s Halloween sale for the iPhone/iPad AppStore yesterday. The full list of the on sale items for DeathSmiles and DoDonPachi Blissful Death can be found over at cave-world.com.